Santa Monica Rain 2. 4 days of Growth. Thread: Santa Monica Rain 2. 4 days of Growth. 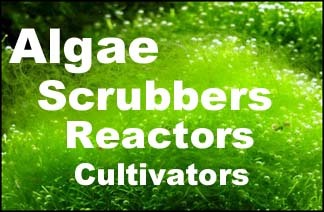 Wanted to post a quick photo of my Santa Monica Rain 2 Alage turf scrubber on my Red Sea Reefer 525XL. This shows 4 days of growth. Keeps my Nitrate @ .5-1 ppm and Phos at .02-.03 Absolutely love my Santa Monica Rain 2. Nice! How is the sound, and how is it mounted? Its Dead Silent. The left pipe coming down off my manifold is tee-d off and has a foot at the bottom of the sump. I'll take some photos to show mounting and post them here. My name is Phillip and I'm doing a review on the Hog scrubber as well. I just sent you an email. This is how I mounted the Rain 2. Yes the secret to silent is really to just get the drain down to the level of the water.